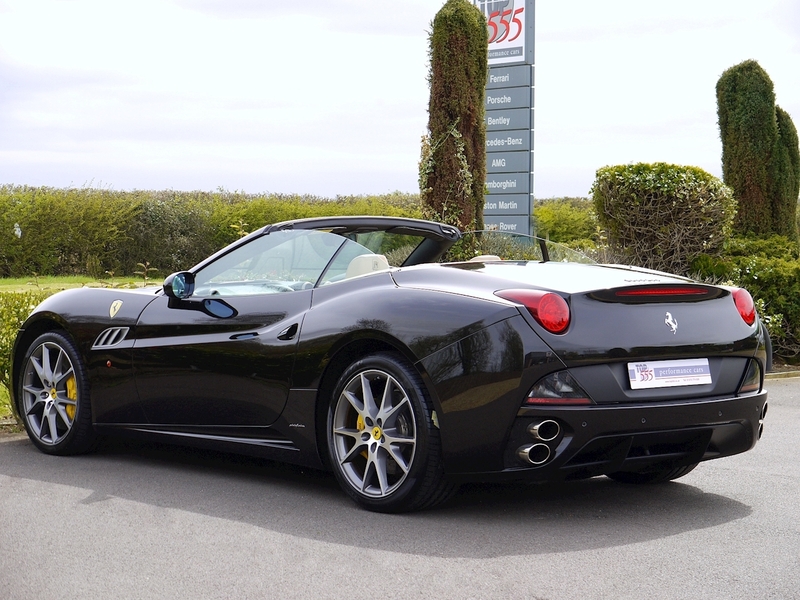 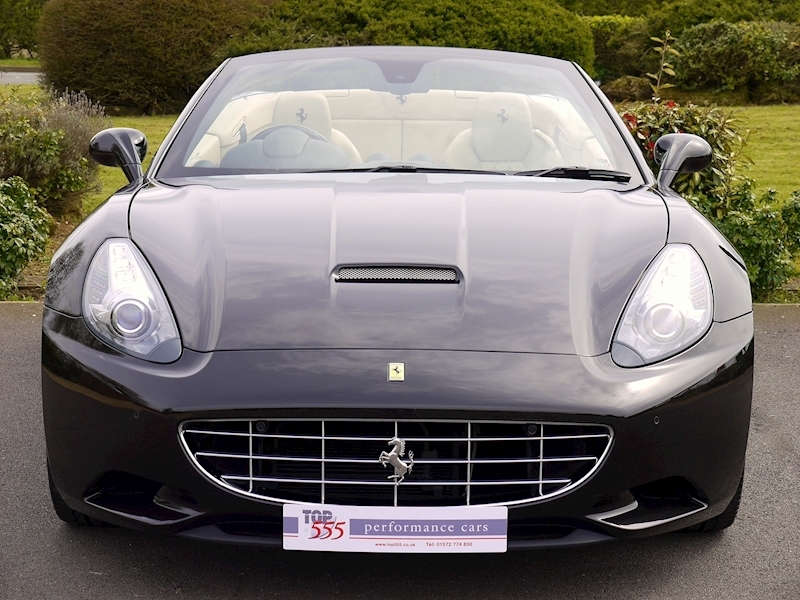 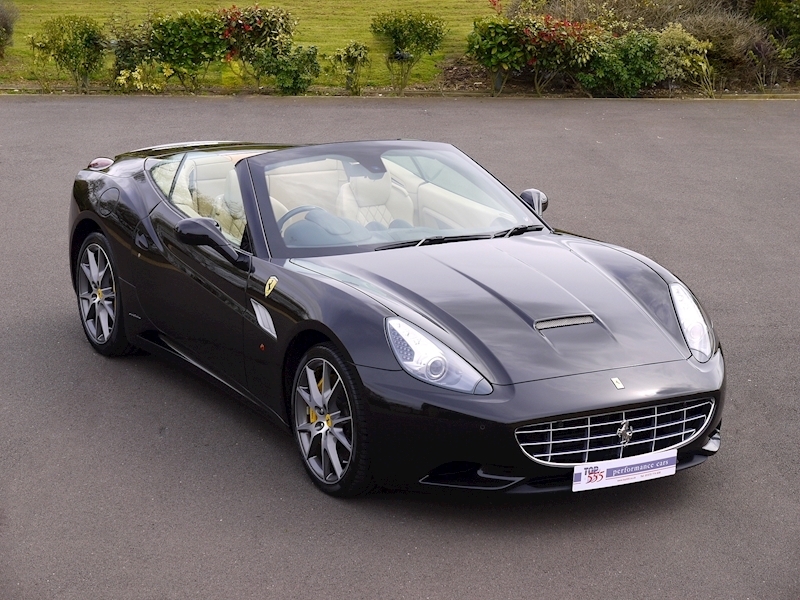 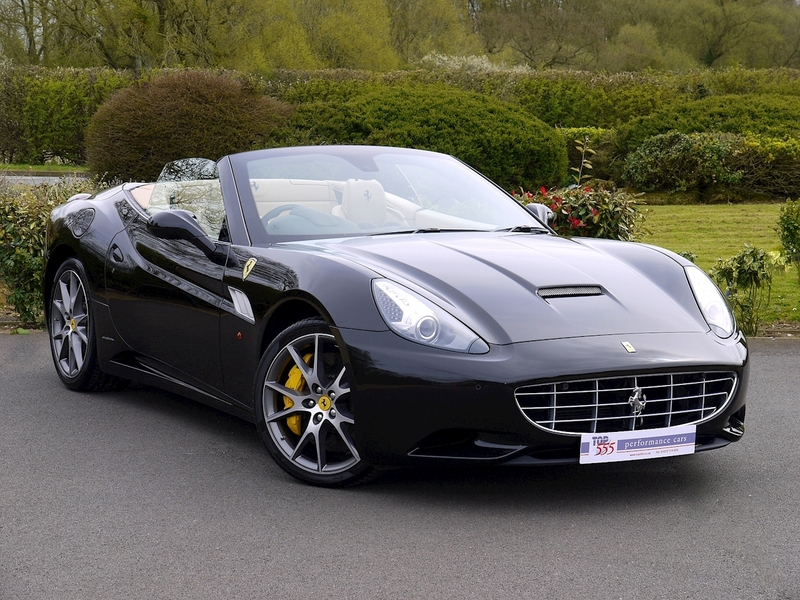 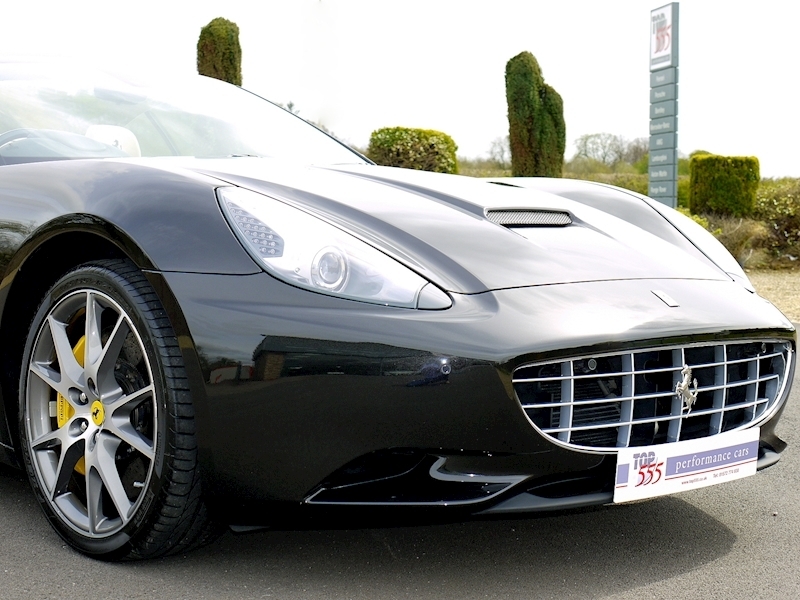 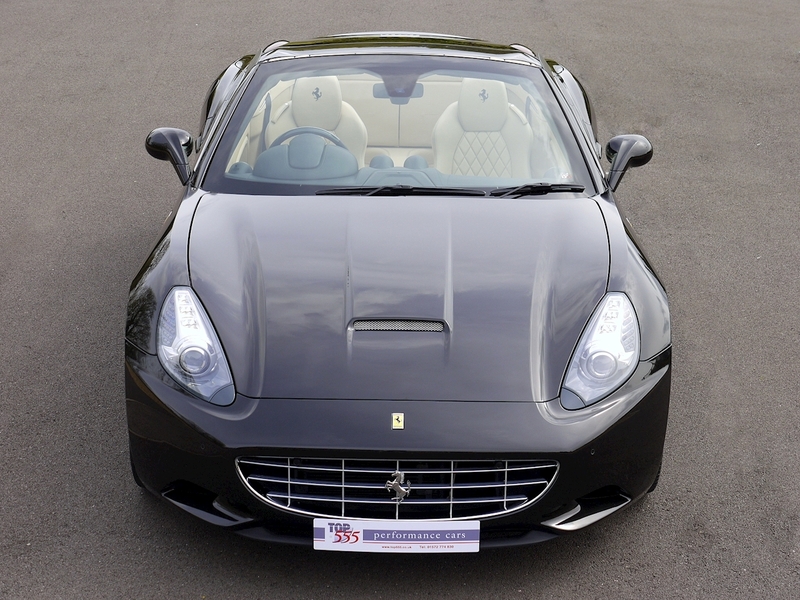 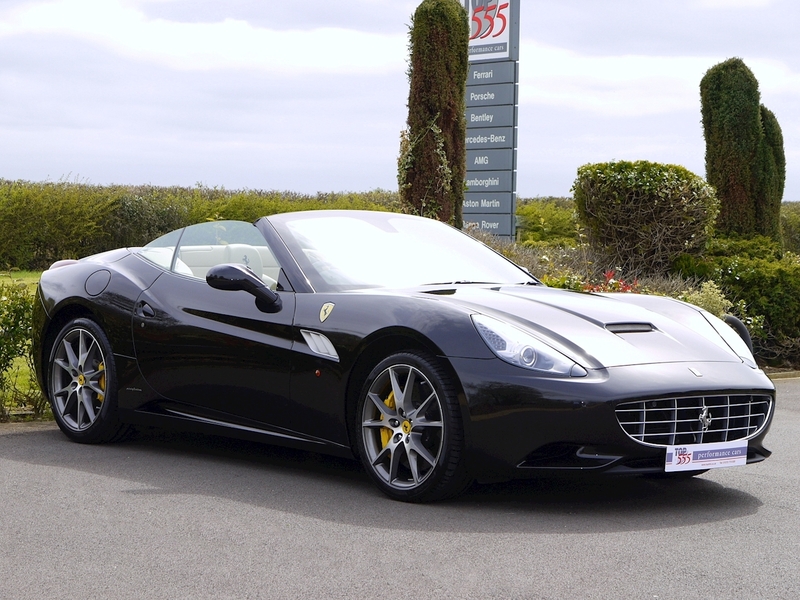 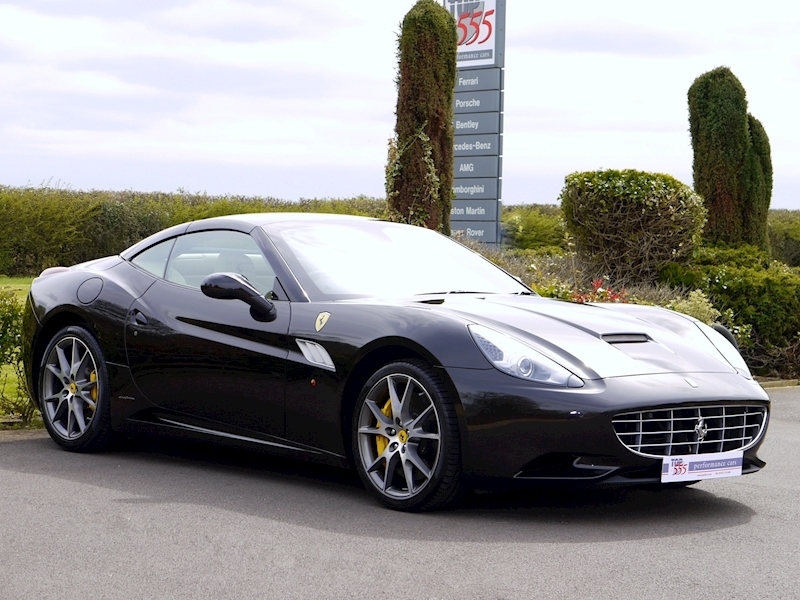 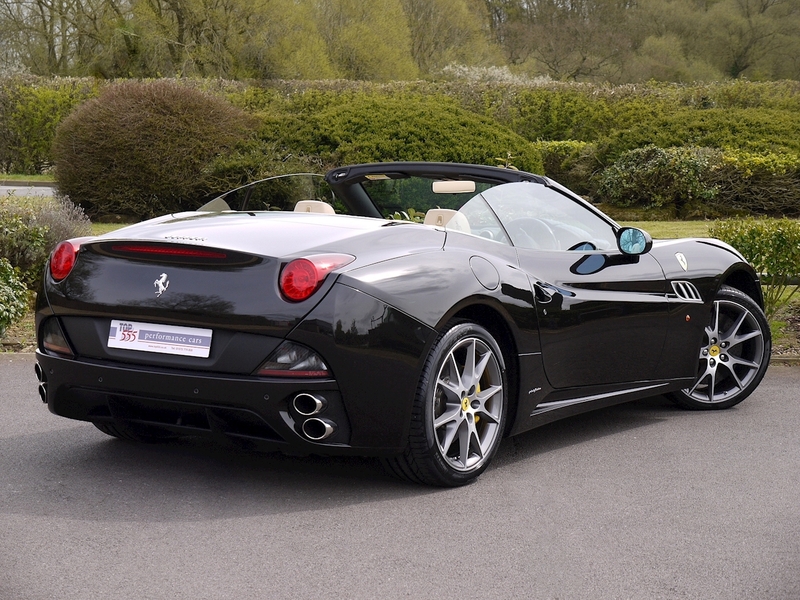 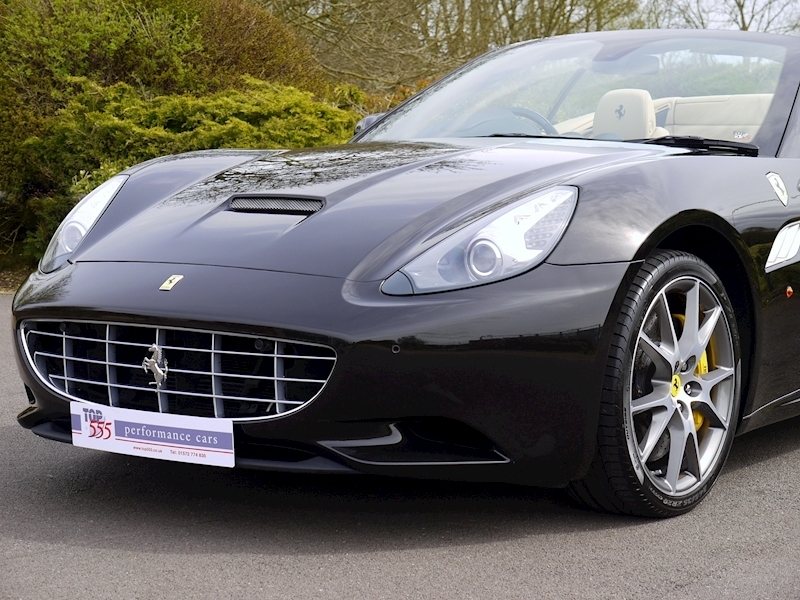 CALIFORNIA 30 - With a power increase of 30bhp and a weight saving of 30kg over the previous model the Ferrari California '30' still retains the same torsional rigidity as before. 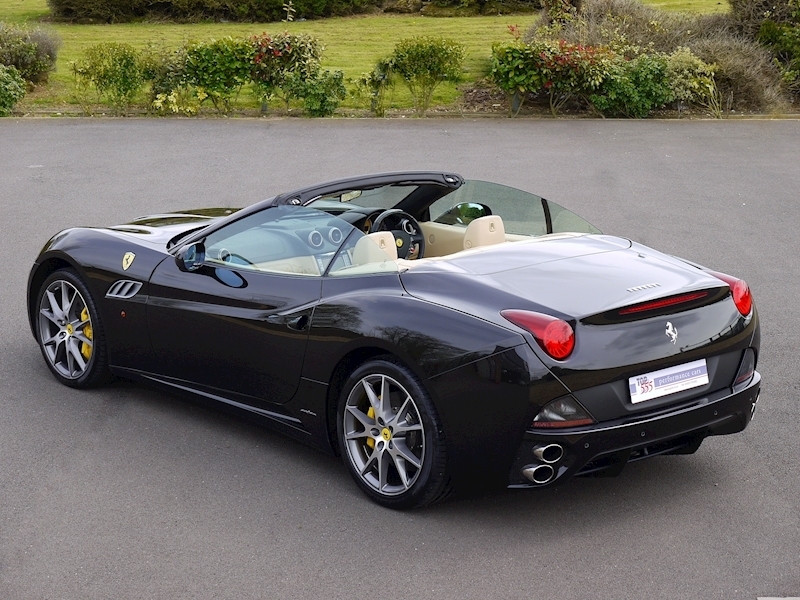 Top speed now climbs to 193mph, and the 0-62mph time drops to 3.8 seconds. 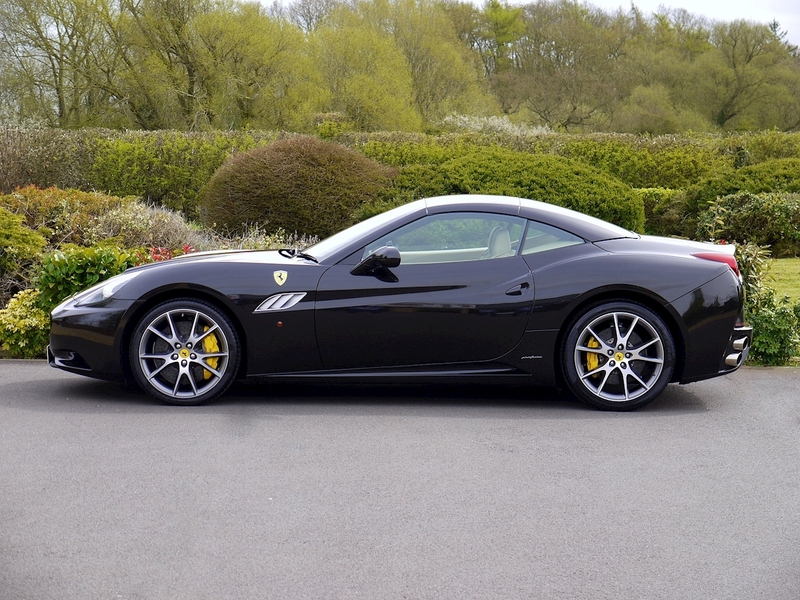 The 'Handling Speciale Package' gives a 10% quicker steering rack, 15% stiffer front springs and 11% stiffer rear springs with retuned magnetorheological dampers to suit. 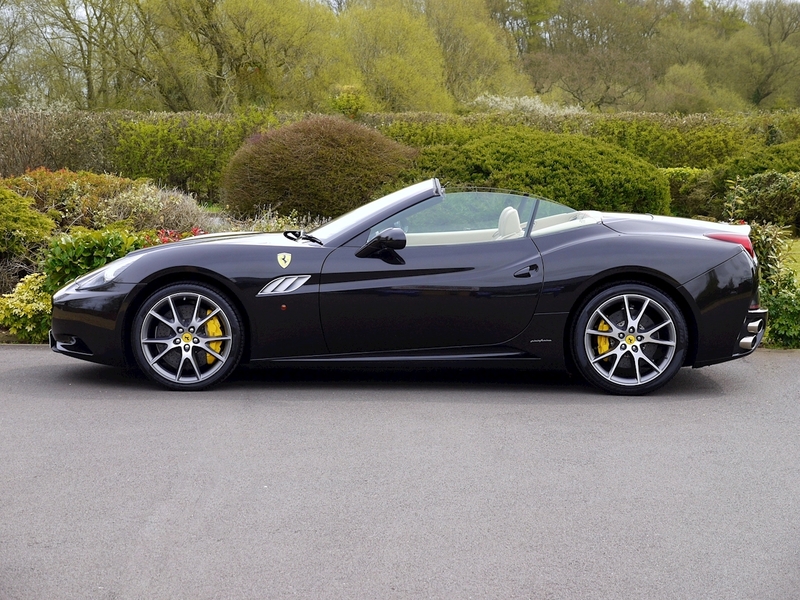 The car benefits from the following additional features: - 20" Diamond Finish Sport Wheels. 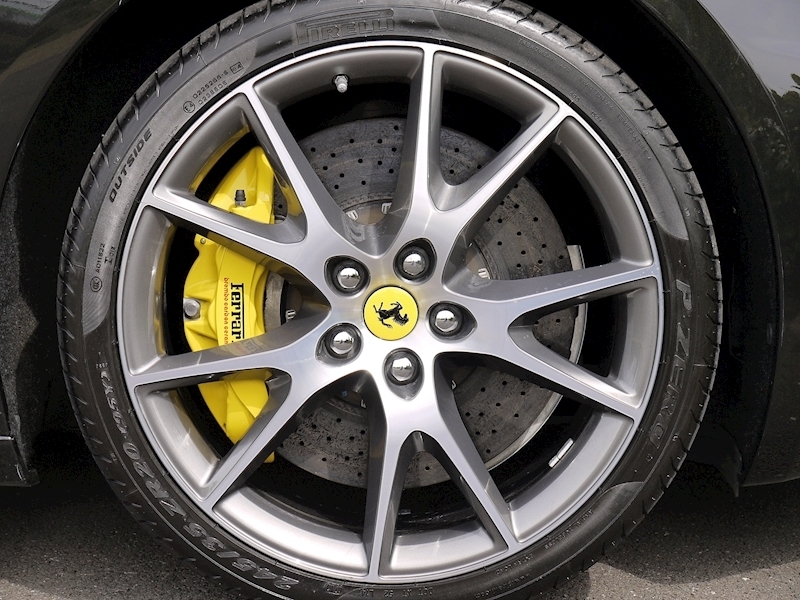 Yellow Brake Calipers. 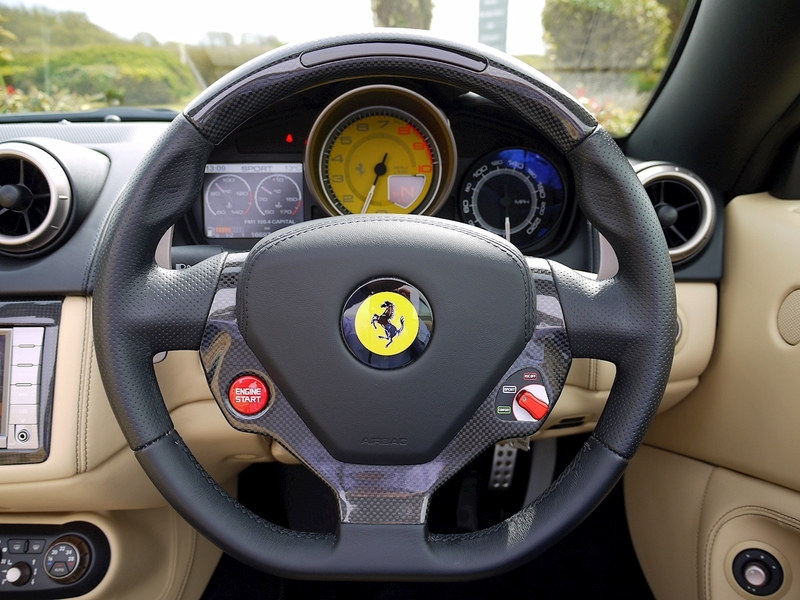 Carbon Fibre Steering Wheel with LED's. 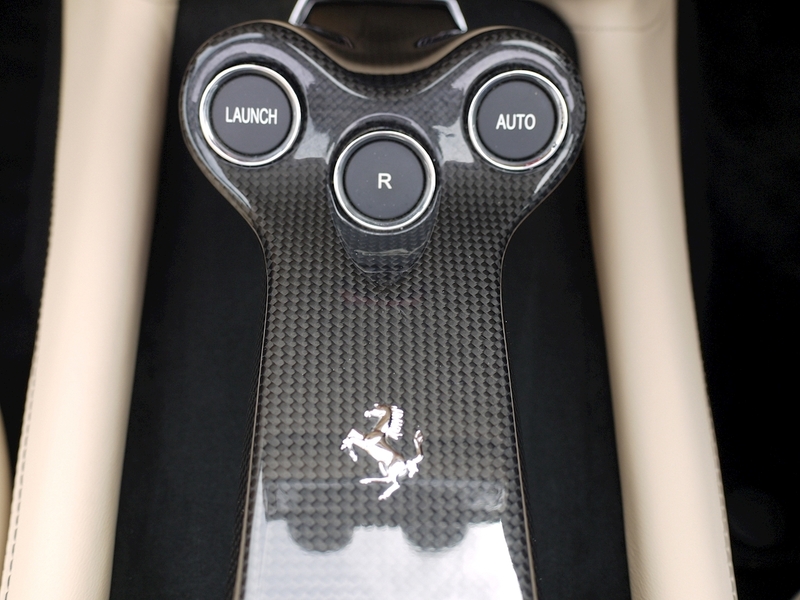 Carbon Fibre Lower Cabin Zone. 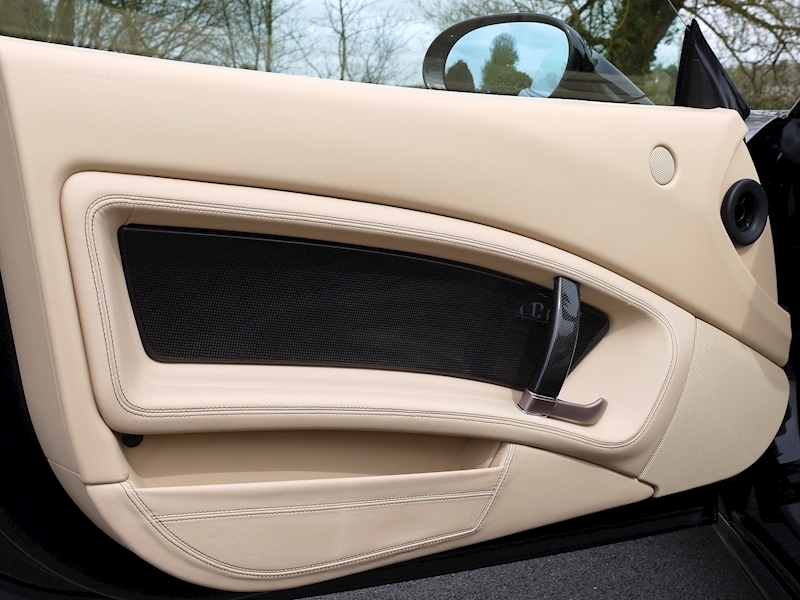 Carbon Fibre Door Inserts. 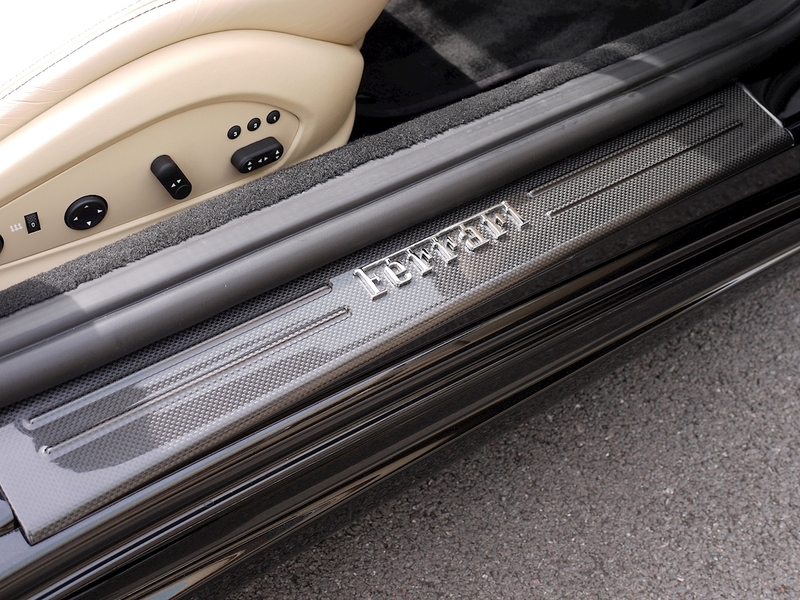 Exterior Sport Grilles. 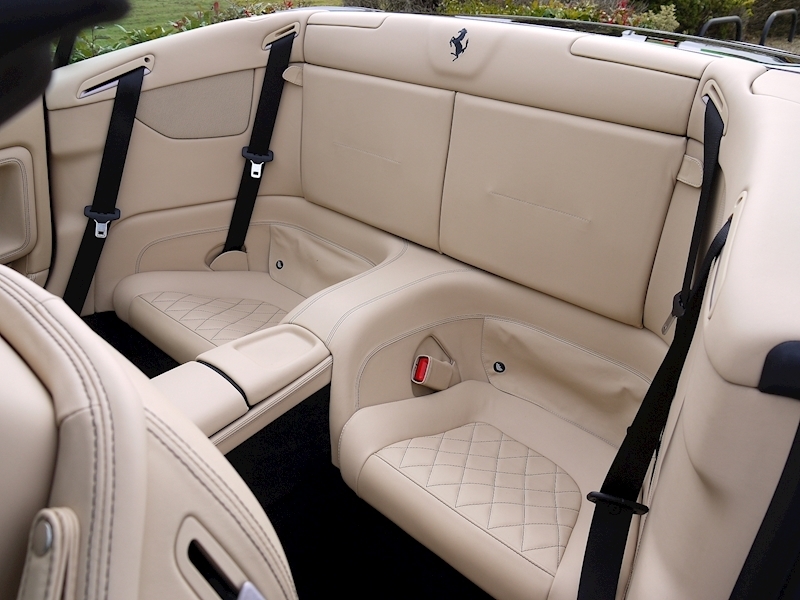 Diamond Pattern Style Front Seats. 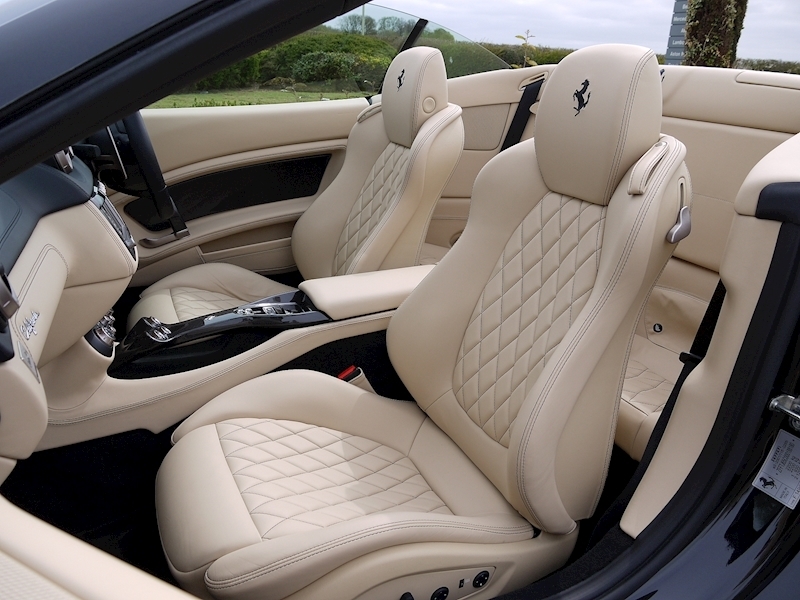 Diamond Pattern Style Rear Seats. 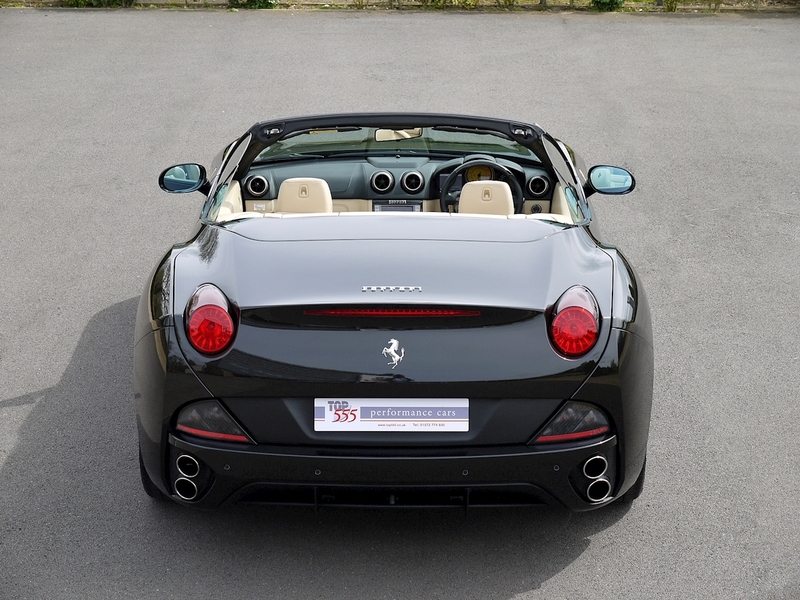 Front and Rear Parking Sensors. 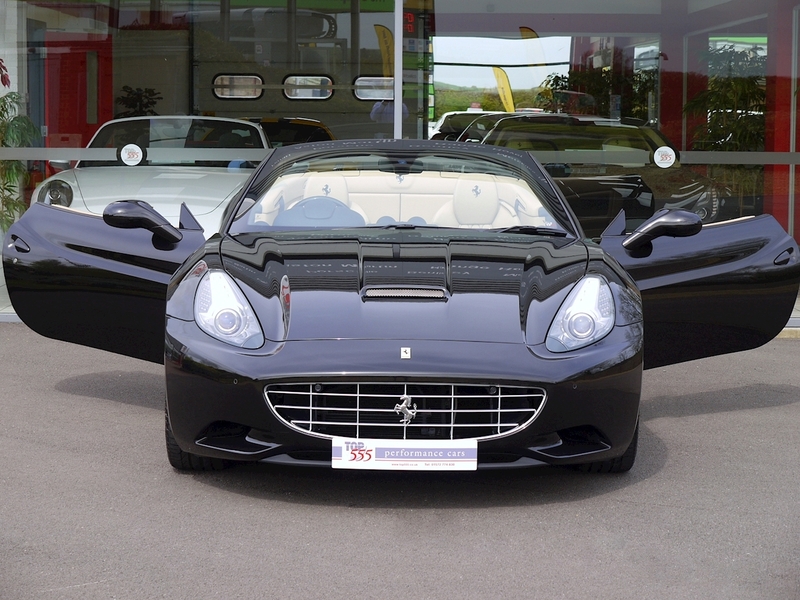 Scuderia Ferrari Shields on Front Wings. Electric Seats. 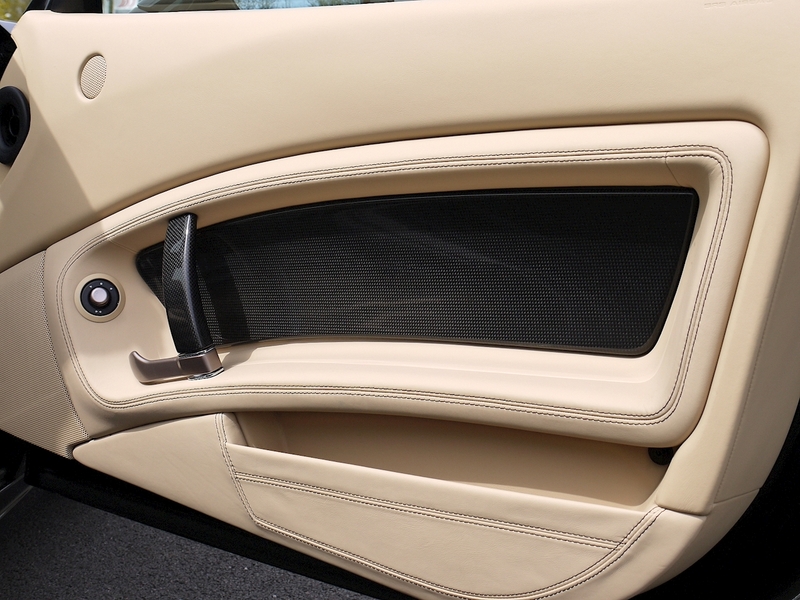 Central Tunnel in Leather. Armrest on Tunnel in Leather. 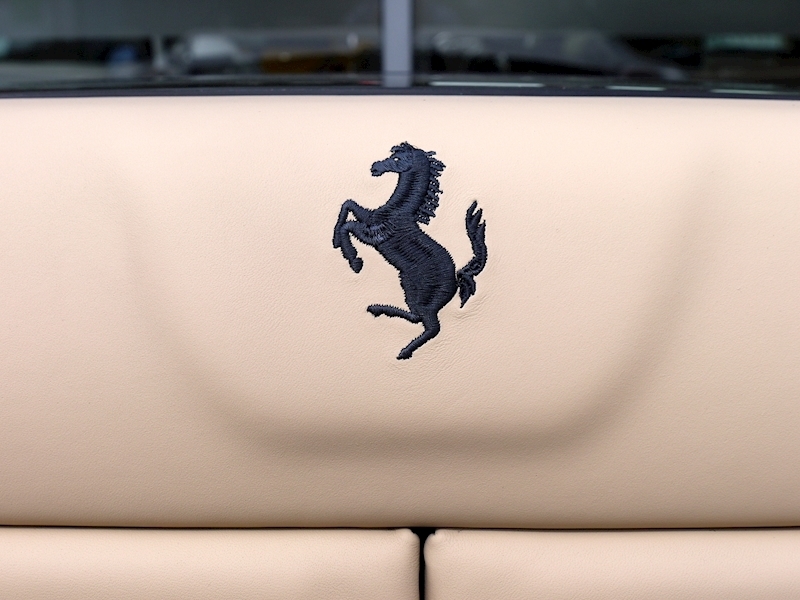 Special Order Cavallino Stitched into Central Rear Bench Wall. 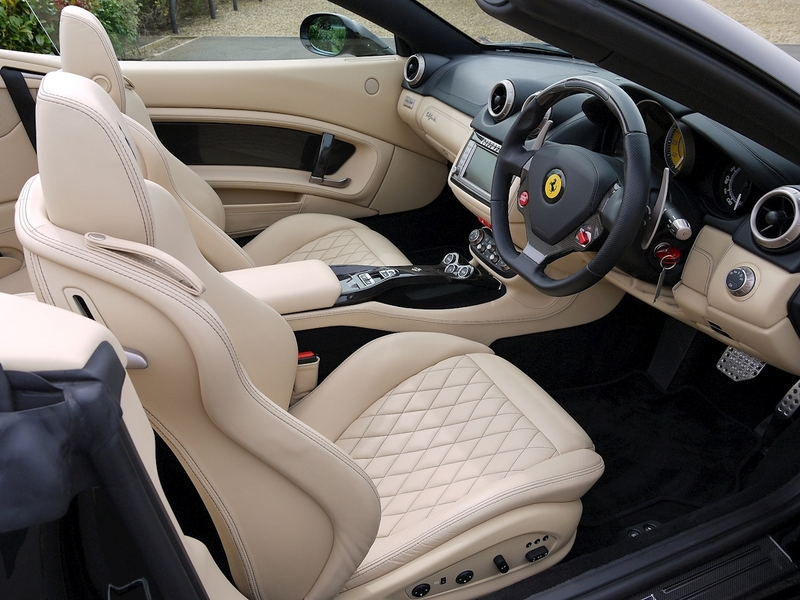 Cavallinos Stitched on Headrests. 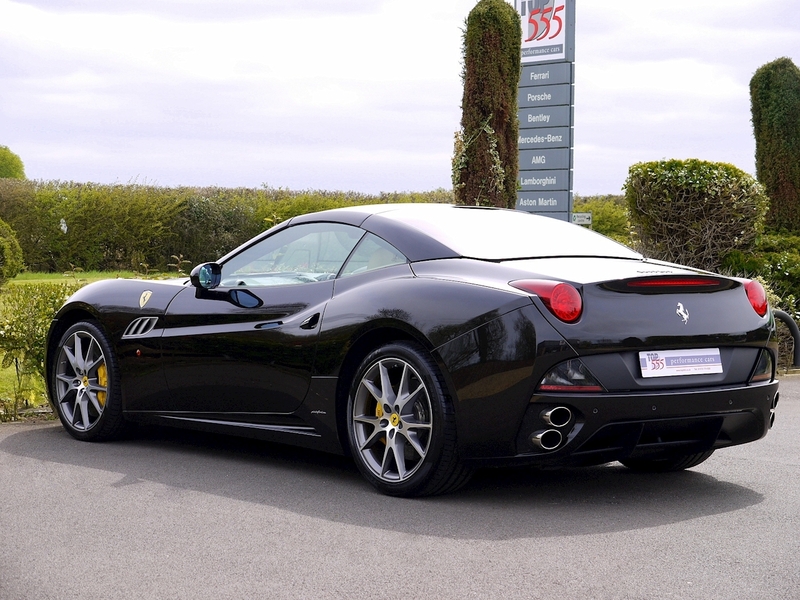 Coloured Standard Stitching in Nero. 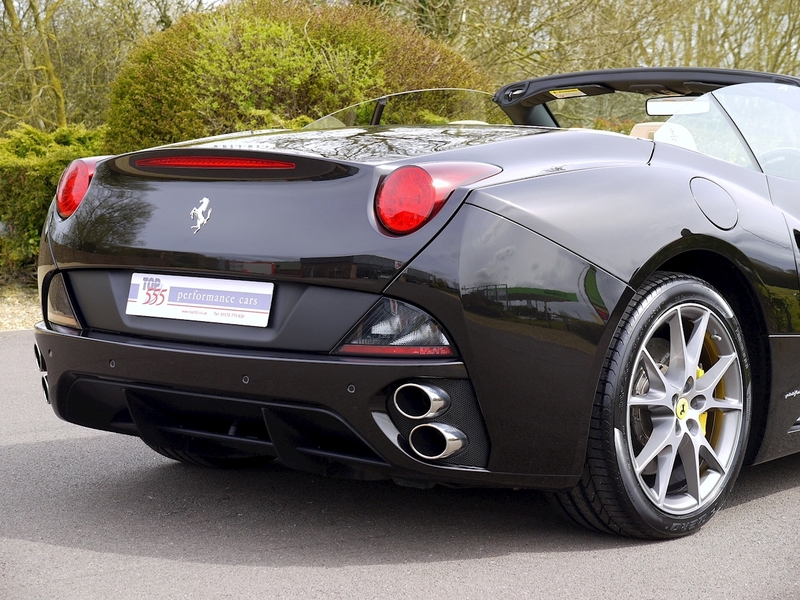 Tyre Pressure Measurement. 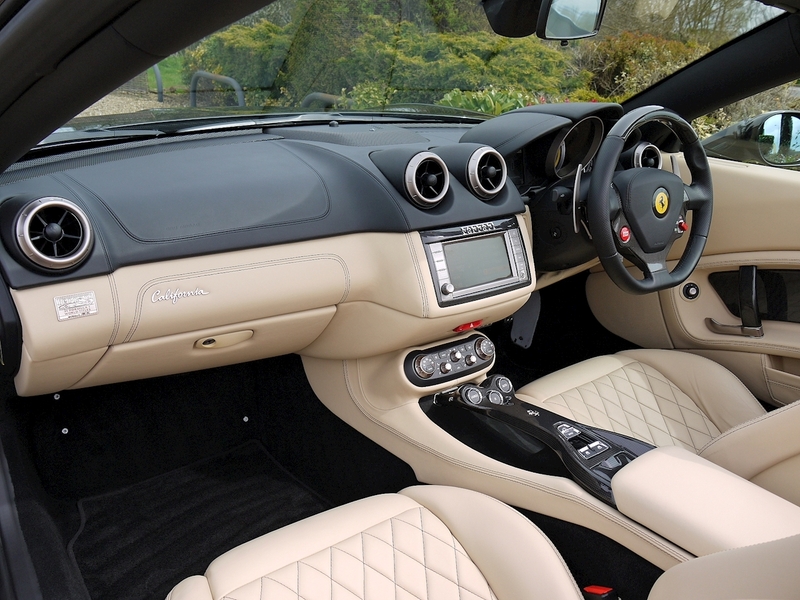 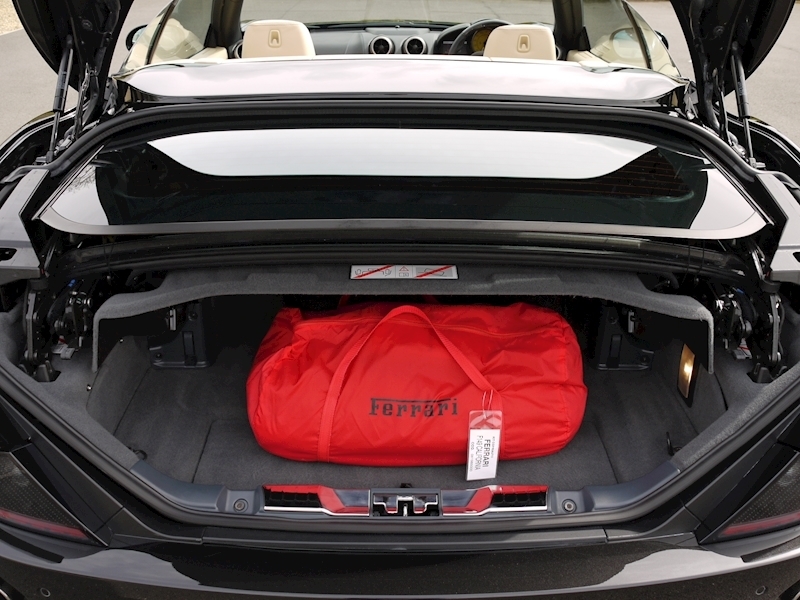 Speciale Handling Package As Described Above. Ferrari Genuine Maintenance 7 Year Service Package until April 2019.